Posted on Thursday, October 21st, 2010 at 6:30 pm. Subscribe to the comments feed. Both comments and pings are currently closed. Post on your own blog. Pete, it was a great decision to publish recipes here on your website! I´m neither sure if someone holds the rights to a regular recipe nor if that is even possible, but you should be fine if you do not copy&paste the whole recipe word for word. 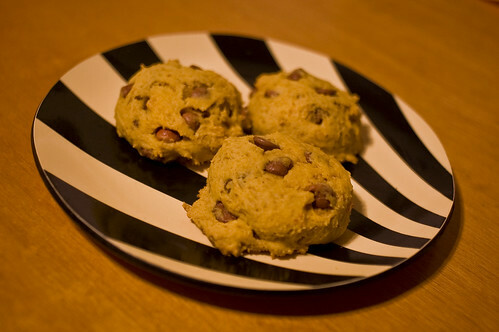 The cookies look really delicious, so I will give them a try, but I´ll omit the pumkin. But the pumpkin is what makes them awesome!